The world of Internet has given us the chance to have a glimpse of what's going on around the world. I just stumbled upon images that Reuters captured in the last 24 hours. Let me share a few of them. 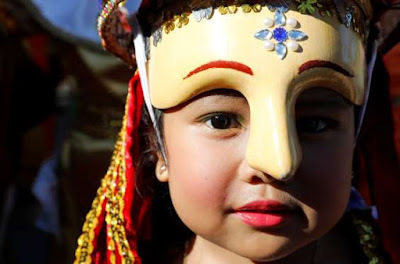 We start with Indonesia. 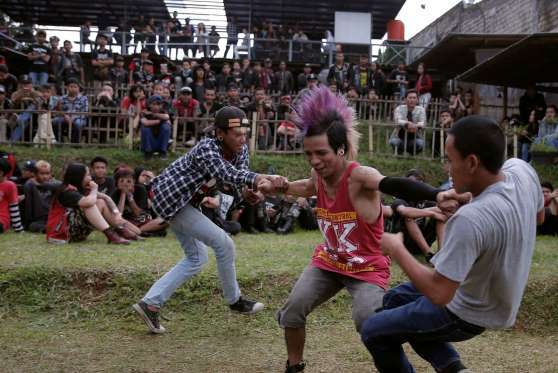 This one shows Punk community members dance during a punk music festival in Bandung, Indonesia West Java province. And in the Philippines, a girl takes part in a local Lenten ritual called "Moriones" in Mogpog, Marinduque, Philippines. 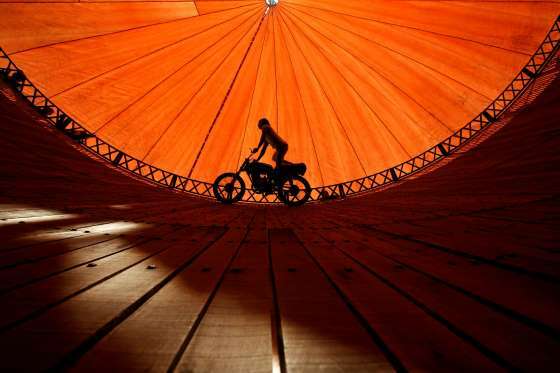 A stuntman rides a motorcycle inside the "Well of Death" attraction during a fair in Bhaktapur, Nepal. 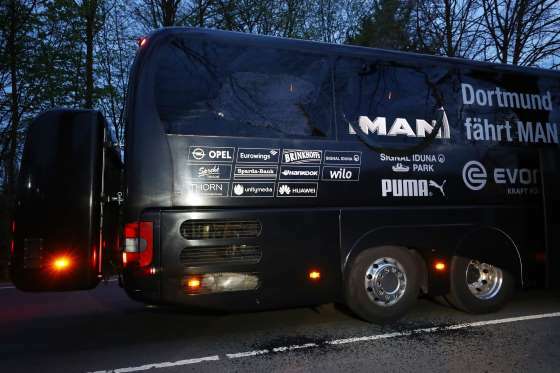 Further afield in Europe, the Borussia Dortmund team bus is seen after an explosion near their hotel before their Champions League quarter-final first leg game against AS Monaco in Dortmund, Germany. 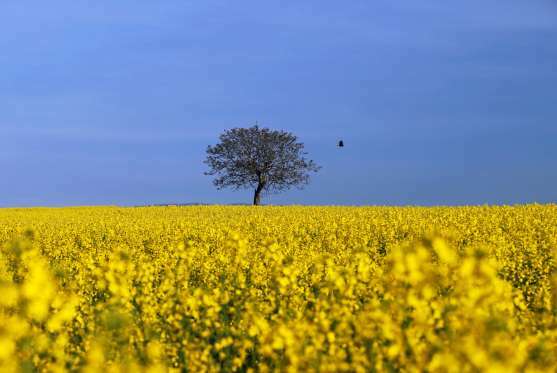 A crow flies towards a tree in a blooming rapeseed field on a spring morning in Vufflens-la-Ville near Lausanne, Switzerland. 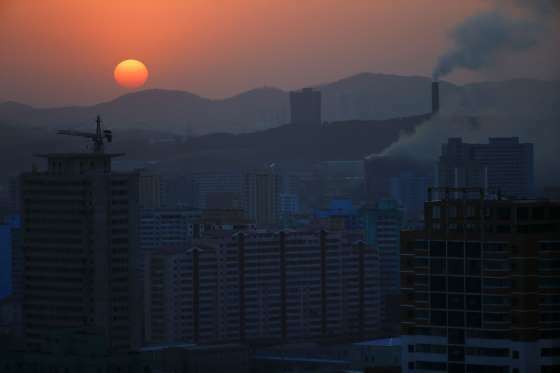 And back to this part of the world, Reuters has this shot of the sun set in Pyongyang, North Korea. 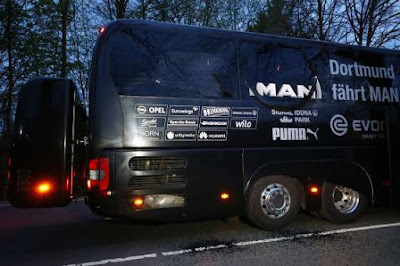 Well, hope you've had a pleasant enough 24-hours-ago. Would you like to share it? Use the Comments below.